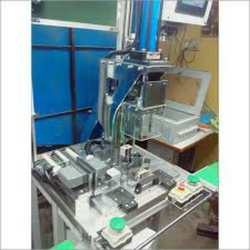 Fully automatic packing machines for solids and liquids like spices, supari, tea, dry fruits, oils, grocery items, shampoo. · Mechanical operation with photo registration system. 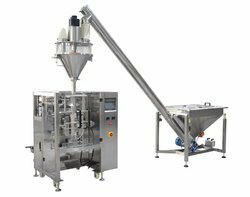 · Suitable filling device like Augar, cup filler, piston filler, weighmetric filler, electronic weigher are available. We are offer a wide range of Industrial Packing Machines, that are specially designed for allied industries. Power Consumption(HP): 1 HP, 8 Bar pressure, 2 CFM. We are a leading manufacturer of shaving blade making machine. Being a noteworthy enterprise of this industry, we are offering a wide spectrum of Scrubber Packing Machine.